Is carbon monoxide lighter or heavier than air? Of course, any time you have gas appliances or a wood-burning fireplace, you should have at least one carbon monoxide (CO) detector in the home. CO is odorless, tasteless and DOES NOT GIVE WARNING that it is being produced or building up. And, is it lighter or heavier than air? Which means, does it rise or fall when produced? Since the molecular weights of gases differ, what makes them move is convection. If a gas is released because of combustion, it would tend to rise due to its heat. You would add things to get the pure density of gasses. So what is the density of air? The air we breathe is composed of 80% Nitrogen, 19% Oxygen, .6% inert gases and .4% Carbon Dioxide. N2 + O2 + CO2 = ? So how does CO compare with air? It is 3% lighter. So it distributes very easily through a house. But when CO is produced, it immediately begins mixing, and therefore diluting, with the air around it. Therefore, it mixes with nitrogen, which doesn't burn, oxygen, which is burned creating the CO, H2O (humidity) and CO2 which are in the air. So the CO produced is not in pure form in the air. It is very diluted. And as CO is produced, it is warmer than the air around it. So what is the most advantageous place to put a CO detector? CO moves with the air, so where the air is flowing it will go also. It is very unpredictable where the air, and therefore CO, will move at any given time. That is why the instructions with the unit you buy do not say to place it high or low on the wall. "A carbon monoxide alarm or detector should be centrally located outside of each separated sleeping area in the immediate vicinity of the bedrooms. Where bedrooms are separated and the audibility of the alarm or detector to occupants within the bedroom area could be seriously impaired, more than one unit could be needed. Each alarm or detector should be located on the wall, ceiling, or other location as specified in the installation instructions that accompany the unit." Which detector should you buy? The suggestion is one that is plugged in and preferably with a battery back up. These detectors use electrochemical technology to detect CO gas. Like smoke detectors, they are effective for 10 years. A local Fire Marshall, my neighbor, told me that the plug-in detectors seem to have a better record for fewer false positives than do the battery-only detectors. But that is his experience! My recommendation: buy a good plug-in detector! If you want, get one with a battery back up. Put it near any potential CO source and another near your bedroom(s). Be sure everyone will hear it. And you will be safe and feel safe. I knew we needed one but now know there should be a couple more, Thank you. And you do good good, Barbara! Lise - the combo smoke/carbon detectors should not be used. Many have been recalled - they cause fires! Hey, Raymond! 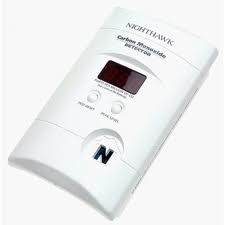 I have Kidde detectors, but Nighthawk makes a good one too. Good morning Jay. The right time of year for this important reminder. Enjoy your day! Hence the post, Wayne! The time is now! Such an important post! The plug in ones are certainly easier to install..thanks for the guidance and excellent advice. Good morning Jay. This is sooooo very important. Great and specific. They are Dorie, and work very well. Sheila - it is, and thanks for your kind words! Hi Jay Markanich - This can be deadly to anyone but the risks go up with homes that are heated with natural fuels. I remember last Xmas a family went to a cabin in a mountain community nearby and all 4 of them were lost. It was very sad. Thank you very much, Jay, for sharing your experience and your advice. That's a lot of interesting information about carbon monoxide, combustion and gasses, Jay. Sheri - natural fuels are what combust and cause CO, especially when done inefficiently. As to that unfortunate family, there are about 1000 CO deaths every year, usually due to ignorance and a lack of detectors. I'm glad you were educated Myrl! Lots of people do job one: buy a CO detector. Job two on placement is just as important. You did a great job explaining what carbon monoxide is, how it works and where to place your detector. This article will save lives. Thank you Debe! Those are very kind words. Now, if only more people would read this post! Attention AR folks. Whatever Jay says, just do it, You'll be glad you did. We have a gas furnance and a fireplacce and we have three. One near the furnace, one near the fireplace and a third in our bedroom. I used to have one in each of the kids bedroms, but they are long gone from living here and I simply have not replaced the older units since those rooms are empty. Thanks for some great education! CO detectors are required by law here in CA (as our smoke detectors) but I occasionally find them lacking, or find only 1 in a 2-story home. It can become a potential issue with our appraisers here if they don't see one to photograph for their reports. I always point out to the listing agent when one is missing (and it's usually on the main floor) to avoid problems. Great post and very good information on an important lifesaving topic! It is state law in Alaska too. You are so right about not placing them too high or too low. Thanks Bob. CO detectors do work, but I'm not sure about radon detectors. is a concentration of 4 parts in a trillion detectable? And thank you, Jon. My legal name is Jon as well, spelled the right way. Tammy - I would say you are protected! Replace them every 10 years. Jeff - I didn't know that. What if the house is all electric? And a photo from an appraiser can't tell how old a unit is. But having them is better than not! Debra - if you place them in a wall receptacle that pretty much defines the height! Glad you found it useful, Steven. Thanks for stopping by. Congratulations on your featured blog. Well deserved and keep them coming. Jay, thanks for sharing the great information about carbon monoxide! Have a great day. I have always questioned this! (especially since the instructions are about as clear as mud on the packaging) I have been replacing my smoke detectors with combo units - figuring it is better to have more around the house... and of course they are all on the ceiling. A well deserved feature Jay! Excellent information! Glad you enjoyed it, Matthew. Robert - they recommend against using the combo units as so many have been recalled. They cause fires! Thank you Sharon. Glad you found the post! Jay- well deserved feature for this one. We all buy these detectors but you are the first explanation I've seen about where to place it and whether to buy a plug-in or battery operated one. With all of these available to us, we need to take advantage and prevent any more needless deaths from carbon monoxide poisoning. Hi Jay Markanich Thank you for bringing this subject back to light at this time of the year. We have gas everything...(even myself on occassion). We have numerous detectors throughout our home as the furnace and water heater are in the basement and the gas stove and garage are on the main floor. I talk frequently with clients and others about detectors and am amazed at how many do NOT have them. Are they fail safe? No...but just like with smoke detectors, they are a heckuva a lot better than not having one at all. I just had clients buy 2 apartment complexes and strongly suggested they put carbon monoxide detectors in each unit and the hallways since the furnaces of one of the units are located in the hallways. Yes...they were grandfathered in to the previous owners but now become a requirement...although we all know a requirement does not always mean adherence. 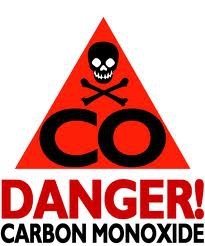 We need a carbon monoxide detector on each level in California. It poses issues with step-down rooms, but I tell sellers just install it anyway. It is only twenty bucks and solves all sorts of issues with appraisers and their opinions. There are some good ones out there, Kathy. I use Kidde. Thank you, Mike. And adherence to any principle is the basis for the principle's success. Better safe than sorry, Elizabeth. If there is one on every level then good - and why not? Jay, I live in a condo with no gas or wood burning units. We have parking on the ground floor, but it is open. Is there any real need for a detector? I would think not, Tom, but I really don't know! Thanks for the informative and detailed and timely post on the subject. Think I will add these as Christmas gifts for my kids this year. Anytime Greg. And that's a good idea too! This is great information to share. I like Greg Large 's suggestion to buy these as gifts! Kat - they're selling like pancakes! This is a post worth sharing for all of us. The builders I work with install them in every home. Jay, that's a whole lot of valuable information in one post. Thanks for sharing. That would be a solid practice, Joe. And thanks! Thanks Mike. And I showed my work, professor! Congrats on the feature arcticle and thanks for sharing such important information. Hoping this helps motivate people to include this item in their home safety features. Thanks Sajy. Every home with combustible appliances should have CO detectors. Hello Jay --- it's good to know what an expert thinks. Good information. Thank you, Michael, for that very nice compliment. We usually always do hardwired CO units that last 10 years. This ensures you don't have the CO detector find its way to a drawer the second it won't stop beeping. Kevin - a lot of those are the combo smoke and CO detectors which aren't recommended because so many of them have been recalled. The individual CO detectors are fine. That reminds me, I have a new one that I bought to plug into the wall with a battery back up, but it's not doing much good still in the packaging on my junk counter. Better get to unwrapping and plugging that in today. A lot of work to be sure, Chris Ann, but you can do it! Carbon monoxide detectors are now often combined in one device with smoke detectors and legally required on every floor in Wisconsin. S&D - you have to be real careful with the combo detectors. Since 2005 there have been 20 recalls of various brands, for various reasons. Having proper smoke detectors and separate CO detectors is still very good protection.